Too much for 1 young attendee who began to yelp loudly. His mom tried to do her best – but her boy was distressed. After a short while – the audience turned. Comments were made. Insults too. How DARE this young boy ruin the performance. depressingly ignorant response from Joe Public. However salvation was on the way . . .
Actor Kelvin Moon Loh took to Facebook. her). And refused to side with the “hushers” and critics. experience the joys of theater. So well done Mr. Loh – I for one salute you for taking a stand. How do I discover the unique talents and skills of my child with Asperger’s and then how to help him use them to his advantage? As parents, it is wise to learn the unique talents and skills possessed by your child with Asperger’s. Strengths are usually directly related to your child’s special interests and can be used to shape your child’s future. Focusing on your child’s God-given abilities and interests will allow him to grow his skills and develop his strengths into everything from enjoyable hobbies to possible career choices. The resulting independence is what every parent dreams of for their child with Asperger’s Syndrome. 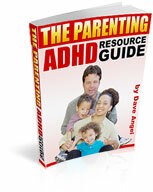 If you observe your child with Asperger’s, strengths or special interests will become obvious to you. Many people think children with Asperger’s Syndrome all focus on similar interests. They think Asperger’s means computer geeks or research scientists. While these are two very popular areas of interests, your child’s interests will be unique to him and as varied and individual as he is human. Here are a few additional thoughts about discovering your child’s talents and skills. Watch to see what activities or topics seem to absorb your child’s attention. He may enjoy computer time, that’s true. However, it could be certain computer activities that really grab his interest, or even a particular character or topic. See if he focuses his computer use, television time, and book choices on a particular topic or character. What comes easily to your child? Educational strengths, hobbies, and social opportunities in which he willingly participates will divulge clues to your child’s likes. Foster the interests that make your child healthy and happy. A child with Asperger’s Syndrome can become obsessive, which can lead to an unhealthy balance. Too much of a good thing often leads to trouble. Help your child expand his talents and skills through his special interests by setting healthy limits you can both live with. For your child with Asperger’s, strengths-based activities can encourage growth in so many developmental areas. Use your child’s strengths to his advantage every chance you get. Volunteer opportunities can allow your child to use his skills in a variety of situations. Job shadowing settings will allow your child to practice his skills and learn more about possible careers. This can lead to a summer or part-time job perfect for his unique talents when the time comes. All of these scenarios can possibly strengthen your child’s social standing within your community-another win for him. These connections can lead to exciting and fulfilling opportunities for your child with Asperger’s Syndrome. Comments Off on How do I discover the unique talents and skills of my child with Asperger’s and then how to help him use them to his advantage? Why does my daughter with Asperger’s think it is OK to lie- even when it is obvious that she will be caught at not telling the truth? It is often said that, for children with Asperger’s, lying is not possible. Children with Asperger’s can be very rigid thinkers, seeing things as either black or white, with no room for grey areas. They also tend to be rule followers. The concept of lying goes against these qualities. However, not only is the concept of lying possible, it is probable that your child will push the boundaries of truth at some point and tell a few whoppers. Why? Because humans have free will and that free will allows each of us an opportunity to question the boundaries. In some cases, co-morbid conditions like OCD and Anxiety Disorder play a part as they pair with Asperger’s. Lying can become an obsession, a compulsive behavior, or a symptom of anxiety due to these additional conditions. Children with Asperger’s Syndrome may justify lying in these instances. You can be sure that your daughter has justified lying or she wouldn’t take the chance of getting caught. It is important that you get to the heart of the matter. Here are a few suggestions. Your daughter must have a set of rules to follow. Rules and routine create order. When there is order, there is calm and obedience. Make sure your daughter is aware of the house rules regarding lying, as well as the consequences if she is caught. An evaluation with a psychologist or neuropsychiatrist can reveal additional problems that may contribute to your daughter’s habitual lying. Obsessive Compulsive Disorder, Oppositional Defiant Disorder and Anxiety Disorder are just a few possibilities. Sometimes treating the symptoms of Asperger’s Syndrome and other co-morbid conditions will improve negative behaviors. Talk therapy can help your daughter express her reasons for lying. Maybe lying makes her feel more important or more in control of the outcome of certain situations. A trained counselor or family therapist may be your answer. Your daughter’s school can give you information on therapy options in your community. Your pediatrician can offer referrals. Children with Asperger’s sometimes feel alone and invisible. In some instances, lying is a child’s way of seeking attention. It doesn’t matter if the attention from getting caught in a lie is negative; it feels good just to be noticed. For children with Asperger’s, lying can be a symptom of something much bigger and much more complex than telling a story for the sake of a lie. With some investigation, hopefully the reason for your daughter’s behavior will be revealed and managed. Asperger’s Behaviour – Prison or Beating? How do I get my son with Asperger’s to understand if he continues with unwanted behaviors he may end up in prison or beaten badly? Sometimes it is difficult to see a positive future for a child with Asperger’s Syndrome. While most are socially awkward and sensory challenged, some are truly troubled by psychological stressors. Comorbid conditions like Oppositional Defiant Disorder (ODD) and severe depression can cause a child with Asperger’s Syndrome serious problems. The unwanted behaviors can be terrifying for parents to witness. The thought of your child living dangerously can leave you feeling so heavy and helpless. As mentioned, a child with Asperger’s Syndrome rarely manifests danger without additional psychological issues. Asperger’s alone is usually much milder in nature. Your first action should be investigating the possibility of comorbidity. Comorbid conditions usually create a handful of serious shared symptoms among the milder symptoms of each diagnosis. Those shared symptoms can cause a lot of trouble. Unfortunately, this is a serious problem that must be handled by a professional. Psychotherapy or talk therapy can get to the root of the problem if the child is willing to open up about his symptoms. Cognitive Behavioral Therapy deals with feelings and emotions as noted above. In the case of your child with Asperger’s, successful treatment will depend mainly on his willingness to accept his part in these unwanted behaviors, and to participate in the treatment plan you or a mental health professional formulate especially for him. You will not be able to make him understand the consequences of his behavior if he is unwilling to let you try. For some people, it takes a first-hand experience to create the desire to seek change. Let’s hope your child is open to treatment now. Comments Off on Asperger’s Behaviour – Prison or Beating? How to explain your child’s challenging behaviors to strangers? For parents of children with Asperger’s, explaining challenging Asperger’s behaviors to strangers is one of the most difficult tasks. Most strangers either have very little knowledge of Asperger’s Syndrome or have a false preconception of Autism due to the media. All they know is your child seems way too intelligent and too old to be doing some of the behaviors they are witnessing. They may prejudge or worse, show pity. There are several reasons that make explaining challenging Asperger’s behaviors such a difficult thing. One, parents feel that their parenting skills are being questioned. No one wants to feel inferior in pubic and no parent wants others to believe that they lack the skills needed to properly teach and train their child as he grows. Another reason is the child’s obvious struggle due to immaturity, sensory issues, and social communication weakness. No parent wants a negative focus on their child. Finally, the thought of a stranger pitying you as a parent or worse, pitying your child, is very hard to swallow. The simplest way to explain your child’s challenging Asperger’s behaviors is to ignore the negative reactions of others. Truthfully, what does it matter what a passing stranger thinks about us as parents or our children’s behaviors? Unfortunately, human nature dictates that we must give an explanation when someone questions our abilities. You can call is self-preservation. With that in mind, here are some ideas you might use. Similarly, you can hand the stranger an educational brochure published by support organizations containing facts about the Autism Spectrum. You can choose to speak up and let the stranger know that your child has Asperger’s Syndrome. While explaining challenging Asperger’s behaviors, try to do so without showing too much emotion. Remain factual, calm, and pleasant. Offer as much information as you feel comfortable divulging. And remember, a stranger’s reaction in no way shapes you are as a parent or who your child is as an individual with Asperger’s Syndrome. For children with Asperger’s, basic social skills can be an area of great contention. Weak understanding of social communication can hamper a child’s progress in all areas. The ability to have meaningful two-way conversations is necessary for success. Weak understanding of social expectations like personal space, hygiene, and manners are additional classic characteristics of Asperger’s Syndrome. Strengthening these areas will definitely improve your son’s chances of growing and developing into a functional, independent adult. Within the home of a child with Asperger’s, basic social skills can be strengthened with practice. Parents can and do work on basic skills like manners and social awareness as children grow and mature. The only difference with children with Asperger’s Syndrome is you may have to spend a little more time focusing directly on each skill. Breaking down tasks into suitable portions and using repetition are excellent ways to teach concepts to children with Asperger’s Syndrome. Here are some additional tips for teaching basic social skills. Good manners are like rules. Add them to your list of house rules. (It helps to have a printed list of the house rules posted and available for all to see.) Yes, Ma’am, No Ma’am, Yes, Sir, No, Sir, please and thank you are a few basic manners you can add to your house rules. Modeling is a common teaching method used by Autism teachers and therapists. Basically, you model the expected behavior and have your child repeat the modeled behavior. You can model anything: manners, social skills, and even physical movement. You can use social stories to teach all types of concepts. Social stories are simply written and illustrated to appeal to children. The illustrations are simple and often cartoonish. You can write your own personalized social stories or find appropriate stories in books or on websites. Use rewards to reinforce learning opportunities. Many people use stickers or small amounts of favorite foods as reinforcement during teaching sessions. When teaching Asperger’s basic social skills to children with Asperger’s, practice makes perfect. Insist on proper behavior at home and at school. Re-direct your child gently and model appropriate behaviors constantly. With consistent practice your child with Asperger’s Syndrome can improve his social communication skills. I worry the most about how she perceives herself / her self esteem and how she relates to the rest of the world. I worry the most about how she perceives herself / her self esteem and how she relates to the rest of the world. I worry about how hurt she can become when she knows she’s hurt someone’s feelings but has no idea how or why. I’m upset that she wants to have friends but has no idea how. I just want to help guide her towards where ever she fits and is comfortable. I wish she would let everyone get to know her … the world would love her as much as I do! I am sure that the world will see what a wonderful person your daughter is in time. It is very hard for children with Aspergers to adapt to the world around them. One good thing is that she does understand when she hurts someone’s feeling—even though she does not understand who she does what she does. She can be taught to understand the reasons behind her actions and ways to improve her behavior. Consider a few of these options to help your daughter work through her issues. Group therapy may help you daughter build her self-esteem. It takes some time to build self-esteem. Your daughter may be struggling to understand who she is and how she fits into the world right now. Group therapy helps her to understand that there are many other children just like her that are building their self-esteem. She will likely feel comfortable in the group setting as she interacts with other children. Try role-play to help your daughter understand various social situations. Role-play is a good way to practice behaviors with children with Aspergers. You and your daughter can practice situations where she hurts someone’s feelings. During this time, you two can also practice alternatives for certain spoken words or actions that may be offensive to others. You can also practice skills that can help her to make new friends. You can teach your daughter how to begin conversations and appropriate comments to make to others. Enroll your daughter in special interest groups. Children with Aspergers usually have a special interest that they are eager to share with others. Her special interest offers a wonderful opportunity for her to interact with others, make new friends, and build her self-esteem. She will learn to appreciate her special interest as she displays her talents to others. She will likely make lasting friendships with the new people that she meets. Try social skills training for your daughter. Social skills classes are a great way to teach her how to interact with others. She can receive this training in a group setting or on an individual basis. Your daughter will learn many alternatives to her current behaviors, and she will learn how to make good choices when she interacts with others. Understanding that she hurts the feeling of others is a good starting point for your daughter’s transition to a girl with high self-esteem. She will learn how to make wise decisions on a daily basis.